Yesterday we made our first batch of pesto for the year, and just like last year, I was so excited I forgot to take pictures! The recipe is here, and information on growing basil is here. Basil is a tender annual–you need to buy the plants or start them indoors from seed each year. This year I bought 20 plants. Four of them are in my patio herb garden, and 16 are in the vegetable plot. Yesterday we harvested 8 and made enough pesto for 6 meals. Over the weekend we’ll harvest the rest, because very soon two things will happen: beetles will attack the plants, and the plants will bloom vigorously. Like most herbs, the flavor of basil is best early in the season, before the plants bloom. If you wait too long, the pesto is bitter. In the region around Genoa, where pesto originated, the best pesto is made from very young plants. Last night we combined the pasta and pesto with some vegetables fresh from the farm (two farms, actually). I crushed three garlic cloves and sauteed them in olive oil over high heat with a handful of chopped green beans. When the beans were about half cooked, I added a sliced zucchini. I cooked everything together until all the vegetables were charred and crunchy. Then I mixed them in with the pasta and pesto. It was really, really delicious. I’ve mentioned before that we belong to a CSA, Hesperides Organica, based in the Black Dirt region in nearby Warwick, NY. Every Wednesday from mid-June through November we pick up a large carton of fresh and delicious vegetables. The zucchini came from the CSA; it was most likely picked on Tuesday. The green beans came from a new farmer’s market that opened yesterday in FairLawn. For the rest of the summer, there will be a small farmer’s market in the parking lot of the New Song Church on FairLawn Avenue every Wednesday from 11-6. Check it out. In addition to the beans, we got lovely, fragrant peaches there yesterday. Now that corn prices are falling and the market for fresh local produce is booming, farmers in the midwest are switching some land over from high-starch corn varieties (used for ethanol, cattle feed, and high fructose corn syrup) to fresh fruits and vegetables. According to an article in today’s Times, CSAs, buying groups, and consortia are springing up to buy the produce. Turns out that farmers can make much more money per acre growing produce than growing corn for industrial agriculture. This is good news for the farmers, for the environment, and for people’s health. CSAs and other farm-to-table groups have been active in the east and west for sometime. If you google “farm to table” you’ll find information about local farms that supply restaurants, schools, other institutions, and CSAs throughout the country. This is the time of year to sign up with a CSA for the coming season. CSA stands for community supported agriculture–basically, you buy a share of the farmer’s produce for the growing season. For a seasonal fee (typically $20-30 per week) you get a weekly share of everything the farmer grows. The farmer gets a degree of crop insurance–farming is always a risky business–and you get fresh, delicious produce as well a convenience. How do you find a CSA? The JerseyFresh website has a list, by county (none listed for Bergen County). The Local Harvest website gives general information about CSAs and other sources of fresh local food as well as a nationwide directory. The CSA we belong to, Hesperides Organica, is located in Warwick, NY, and delivers once a week to several locations throughout Bergen County. Something to think about on this dark, cold, snowy day. 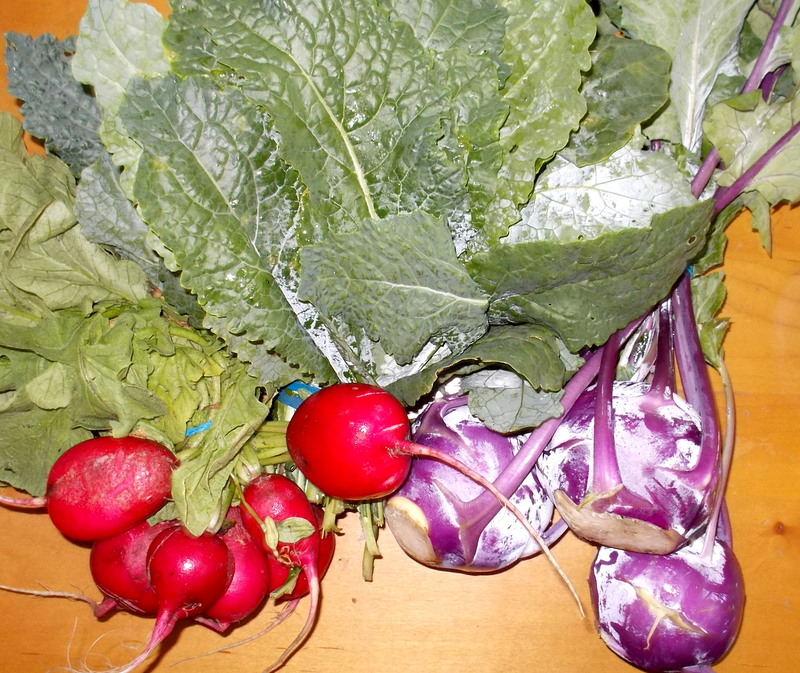 Here’s a (not very beautiful) photo of some vegetables that made up part of this week’s farm share. Trust me, the veggies are much prettier than they look in my photo. In the center is some gorgeous lacinato kale and on the right is purple kohlrabi. All these vegetables belong to the botanical family Brassicaceae and to the genus Brassica. You may have heard the term “brassica” or “cruciferous vegetable.” All these terms mean the same thing, as does “cabbage” or “mustard.” They are called “cruciferous” because their flowers all have four petal arranged in the form of a cross. 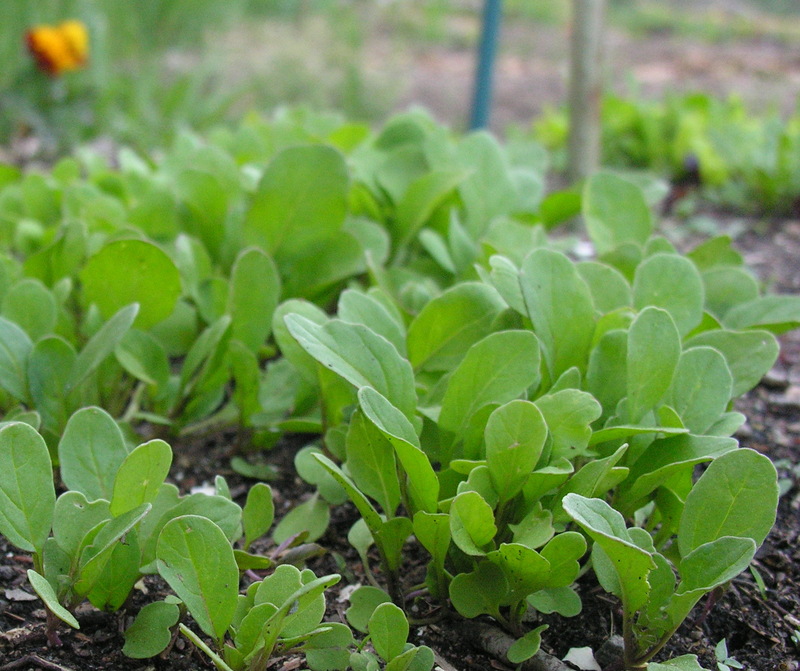 Mustards, cabbages, broccoli, cauliflower, turnips, radishes, kale, Brussels sprouts, broccoli rabe–all are brassicas. In fact, they all share the same genus. Brassicas are among the most healthful of foods, especially if you eat the greens. 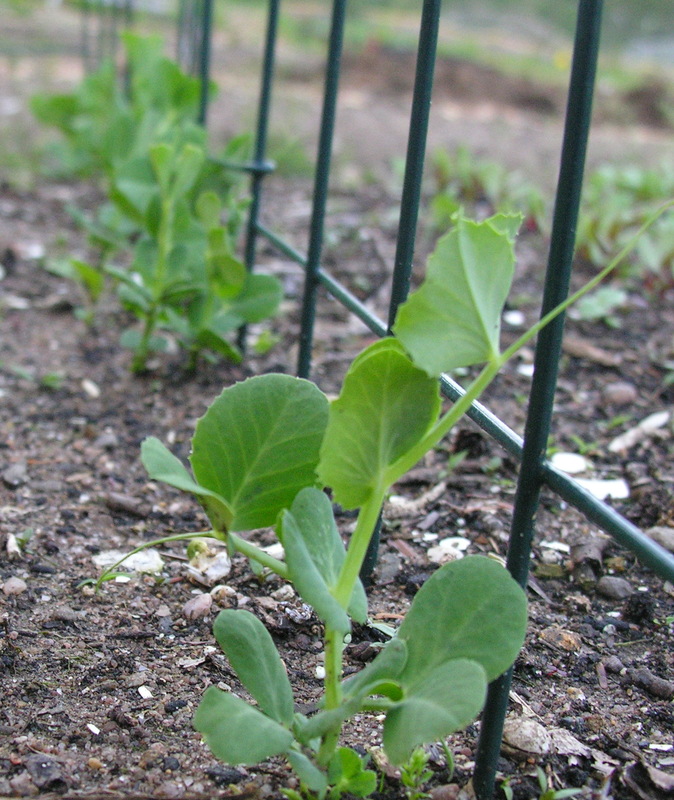 Many members of the family, especially turnips, radishes, and kale, are among the easiest to grow for novice vegetable gardeners. Here’s what I’m going to do with the kale and kohlrabi greens: make a gratin. I’ll cook some legumes and grains–probably a mixture of French lentils, quinoa, farro, and millet, which take about the same time to cook. I’ll saute some aromatics–garlic, onions, celery, sweet pepper–and add the washed and chopped greens, plus some herbs, to soften them. I’ll mix everything together with some beaten eggs and grated cheese and bake it in the oven. It will be yummy. It’s taken me about three years of CSA membership to develop a repertoire of vegetarian or almost vegetarian dishes. Now, when I pick up the share and see what it includes–it’s like opening up a delightful surprise package every week–I know exactly what to do with it, and the week’s meals begin to form in my mind.